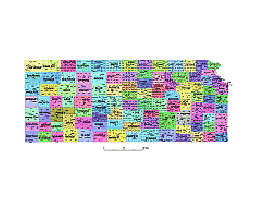 Editable royalty-free map of Kansas, KS in vector-graphic online store. 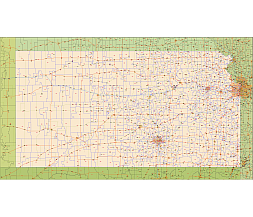 Colleges and universities in Kansas state.Vector map. 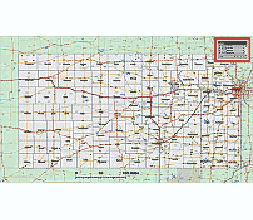 Kansas zip code vector map 2015. 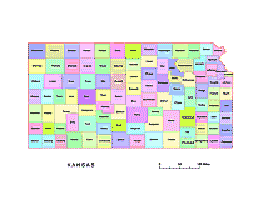 Postal codes map of KS. 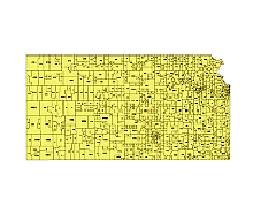 Kansas vecto county map, colored. 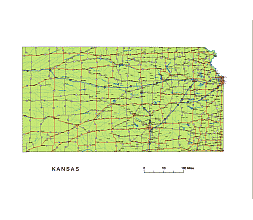 Kansas is not the flat, baked tableland that many conceive. Nor is it particularly corny August, or any other month; wheat, oil wells, and livestock dominate its landscape. The terrain sloes upward from an elevation of about 700 feet in the northwest, and the visitor who is willing to look for them will fin a surprising array of recreational and historical sites. Most of the state's excellent east-west highways fan from Kansas City. 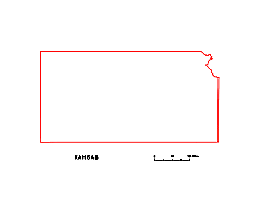 The majority of Kansas's bigger cities cluster in the eastern third of the state. 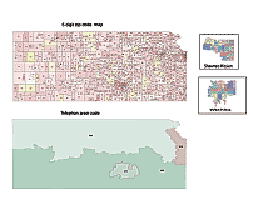 There three of them - Lawrence, Manhattan, and Emporia form a triangle of leafy, progressive college towns. Here, too, lie many of the artificial lakes that offer camping, fishing, boating and other water activities within an excellent state park system. 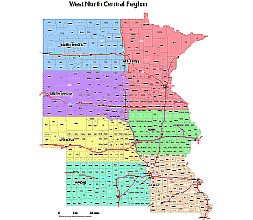 Worth exploring are the Flint Hills, a gently tilted series of outcrops that ripple grassy and scenic across the state from Marshall County in the north to Cowley in the south. Spotted through th Flint Hills are such tree-lined towns as Alma and Cottonwood Falls, their sturdy limestone buildings reflecting the character of the land.